1. Your friend whom you used to gift-exchange with, now has a brood and you are lacking in funds and feel gifting all her clan is a bit excessive. 2. A hostess present for someone for whom your homemade wine is a no-go because they don’t drink. 3. The office gift exchange – especially those White Elephant exchanges where people choose a gift or steal someone elses. 5. You want to do handmade Christmas crackers in a totally rad way. 6. That person on your list who has everything and wants for nothing but needs a little Christmas cheer nonetheless. The Love, Me Handmade Surprise Balls! Love, Me Boutique elves have been busily finding small handmade goodies and handwrapping them into fun balls. 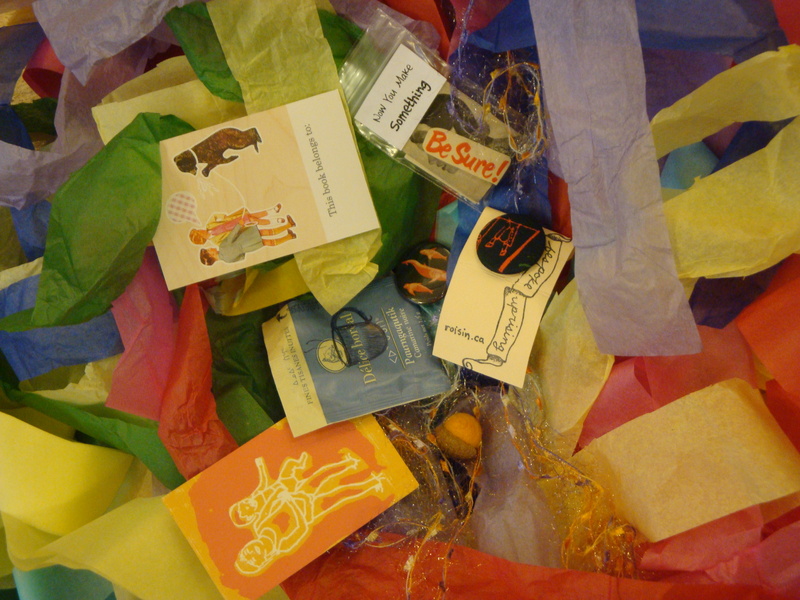 As the surprise ball is opened layer by layer, the recipient is surprised by wee handmade treasures (which may include felted acorns, magnets, 1 inch buttons, bookplates, soap, mini artworks, button rings), alongside confetti, a teabag and “now you make it” DIY kit. 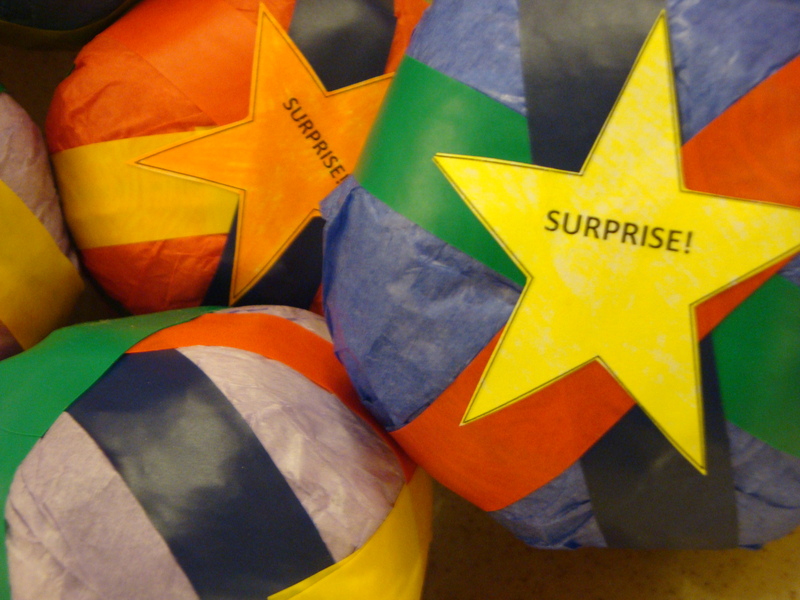 The Love, Me Handmade Surprise Ball will be the hit of the party. Everyone can participate in unwrapping a layer or watch as the recipient becomes mesmerized by the craziness of their gift.